After a solid performance against the Texans at home in Week 1, the Patriots already have their first tough matchup of the year. This Sunday, they’re set to square off on the road against the Jacksonville Jaguars, who, were it not for a big fourth-quarter Patriots comeback – capped off by a HUGE touchdown from Danny “Playoff” Amendola with 2:48 remaining – would have been last year’s AFC champions. Somehow, the Patriots are favored in this one, but BUYER BEWARE. I don’t know if people are still somehow basing their opinion off of old, outdated perceptions, but these ain’t your granddaddy’s Jaguars. Jalen Ramsey (left) and A.J. Bouye (right) form unquestionably the best corner pairing in the game right now. Even though the Pats held him to just 3.2 yards per carry in January, he’s still probably one of the game’s best. Also, backup T.J. Yeldon, one of this week’s hottest fantasy pickups, is no slouch either; he finished the game with almost 70 total yards in relief of Fournette last Sunday, and let’s not forget he averaged 5.2 yards per carry as the team’s backup ball-carrier last year. Both backs can also catch balls out of the backfield, so the Pats will need to watch out for them all over the field on Sunday. Fortunately, the Jaguars have Blake Bortles and a depleted receiving corps responsible for the other half of the offense. Bortles is perhaps one of the most intriguing players in the entire league; here’s a guy who’s thrown over 20 touchdowns in three straight seasons, including 35 of them in 2015, but one who has also thrown 48 picks over that same time frame and can oftentimes look like a lost Pop Warner player on the field. To be fair, though, Bortles did come on strong toward the end of last season, and he played very well in the AFC championship (23/36, 293 yards, 1 TD, 0 INT, 98.5 RTG). You could do a lot worse than him at quarterback, and if you’re not careful he can flame you. However, after letting Allen Hurns walk this offseason and losing Marquis Lee for the year due to injury, the Jags receiving corps is still trying to flesh itself out. Besides Keelan Cole – who I’m expecting a big year from and who truly might’ve been one of the best receivers in the NFL over the last five or so weeks of 2017 – it’s a lot of young, highly-drafted guys (Dede Westbrook, D.J. Chark) or extremely overrated veterans (Donte Moncrief, Austin Sefarian-Jenkins) to choose from for Blakey Boy. Stephon Gilmore and the rest of the secondary should be able to keep Bortles and the receivers at bay in this one, but Fournette and Yeldon could do some work against a Pats defense that gave up the second most receiving yards out of the opposing backfield last season. The Patriots also allowed the Texans to rush for over five yards per carry as a team last week – even when taking Deshaun Watson out of the picture and only accounting for their running backs – so the team could struggle to stop the ground game this week. Though he was sacked three times, Brady played great against the Jags in January (26/38, 290 yards, 2 TDs, 0 INT, 108.4 RTG), but with much less to work with in terms of talent around him, things could be a bit more difficult this time around. Jalen Ramsey should be able to lock down Hogan (if, of course, he’s not on Gronk instead) and A.J. Bouye should be able to take care of whoever else. (Yeah, I know how good Phillip Dorsett looked last week, but don’t expect a repeat performance in Jacksonville.) Rex Burkhead and James White will likely be relied upon heavily again down in the Sunshine State as well. (Can Trent Brown and the Boys Up Front Keep it Up? ): Brown passed his first test in a Patriots uniform last week against a strong Texans pass-rush, but Houston’s front pales in comparison to the group the Jags possess. From monster-man Calais Campbell (12.5 sacks in 2017) to guys like Dante Fowler, Yannick Ngakoue, and Malik Jackson, Brown and the rest of the O-line are going to have their hands full once again. After losing Jeremy Hill for the season this week to an ACL tear, Michel would certainly be a welcomed presence. I am unsure if the team wants the rookie to begin his NFL life against such a tough defense, but then again Bill is certainly not averse to throwing people right into the fire. If not, then newly signed Kenjon Barner might get a little more run than expected. Kenneth Farrow (Melvin Gordon’s backup with the then-San Diego Chargers in 2016) or preseason standout Ralph Webb could also get promoted from the practice squad. Otherwise, Burkhead and White are both going to be in for a long afternoon. Come ahhhn, Sony. We’re getting anxious over here. The Patriots come out trying to establish the run and are not so successful. With Hogan and Gronk being locked down by the Jags secondary, this ultimately causes Brady to have to force balls to the likes of Dorsett and Cordarrelle Patterson, and that doesn’t go so well. Meanwhile, Bortles is able to move the ball a little better than expected against the Pats defense, to the tune of 300 yards and two scores. Brady, as he always does, finds a way to finally punch one or two in later in the game. 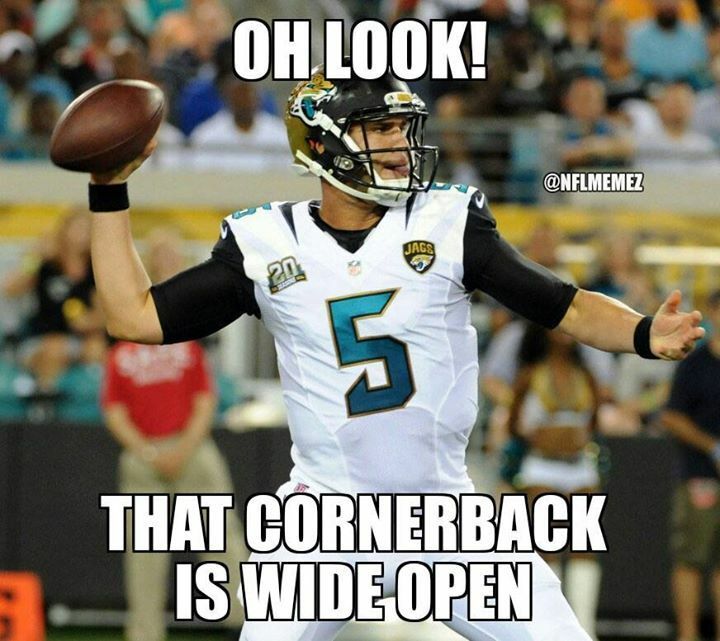 Unfortunately, though, the Jags win out in the end 20-14. This entry was posted in NFL, Patriots and tagged A.J. 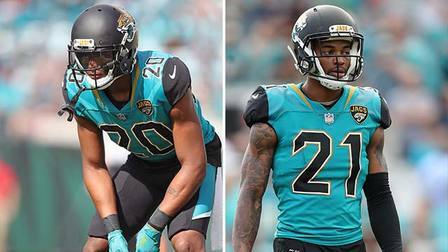 Bouye, Blake Bortles, Jacksonville Jaguars, Jags, Jalen Ramsey, James White, Keelan Cole, New England Patriots, NFL Game Preview, NFL Odds, NFL Predictions, NFL Week 2, NFL Week 2 Preview, Patriots, Preview, Rex Burkhead, Sony Michel, Tom Brady, Trent Brown, Week 2. Bookmark the permalink.